Silberstein Architecture has been awarded a Merit Award for Design Excellence in Residential by AIA Palm Beach for the Intracoastal Duplex project. This is Silberstein Architecture’s 18th AIA award. Jeffrey Silberstein was also awarded the John Stetson, FAIA Award which recognizes a member who has gone above and beyond his or her service. 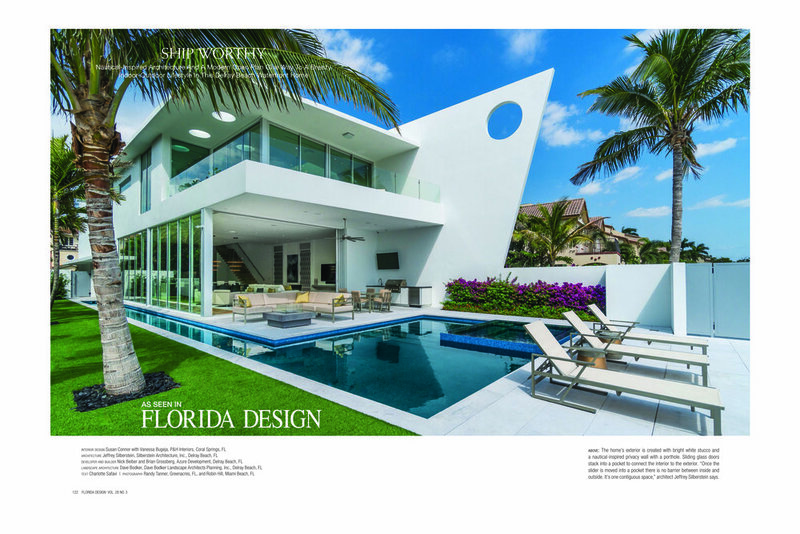 The latest issue of FLORIDA DESIGN features our duplex on the intracoastal in Delray Beach. See “Awards & Publications” for the full article! The summer 2018 edition of Tropic Magazine features Seabreeze East and Seabreeze West. 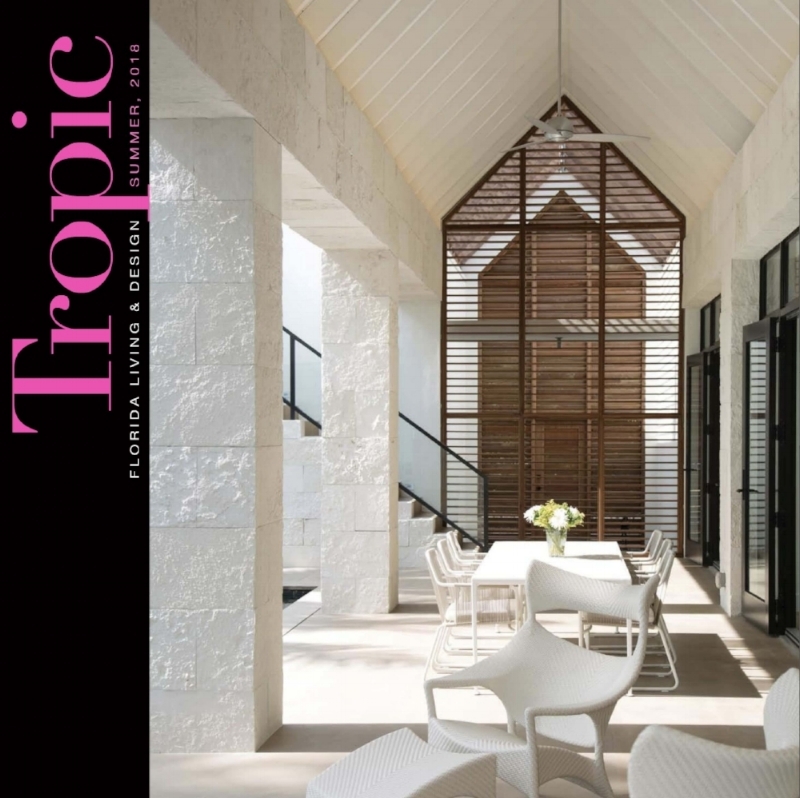 Check out the cover below and the full story in "Awards & Publications"
Silberstein Architecture has been awarded for the third time, the prestigious AIA Florida/Caribbean Merit Award of Excellence for it's residential project Seabreeze West. This is in addition to 12 AIA Palm Beach Awards received to date. The London based jury was composed of internationally recognized RIBA architects with Jonathan Rose leading the jury. Of the 300 entries, 42 awards from 32 firms in Florida and Puerto Rico were selected. "There’s a bit of Aalto about it that I love"
"Deals with so many issues"
"Use the site very cleverly"
"Creating its own focal point"
"Really elegant in relation of house to pool"
Silberstein Architecture has been selected as one of the Top 18 architecture firms in West Palm Beach for the second year in a row by Expertise.com! Silberstein Architecture was selected as one of Ocean Home magazine's TOP 50 Coastal Architects in the country.